Writing of Madrid, Ernest Hemingway once said “…when you get to know it, it is the most Spanish of all cities, the best to live in, the finest people, month in and month out the finest climate." And Papa — as Hemingway was affectionately called — was no sycophant. Any city that received his stamp of approval had to earn it. Madrid certainly did. The city of the Bear and the Strawberry Tree (villa del Oso y el Madroño) has a rich history, beautiful architecture, sprawling parks, stunning museums, an exciting nightlife, and world class restaurants. If it’s your first time in the city, we suggest starting your day by strolling through the gardens of the Parque del Buen Retiro. Bask in the sun at the banks of the man-made lake at the center of the park. It was once used for water shows, such as mock navy battles, and boat rides for the King and Queen and their Court. 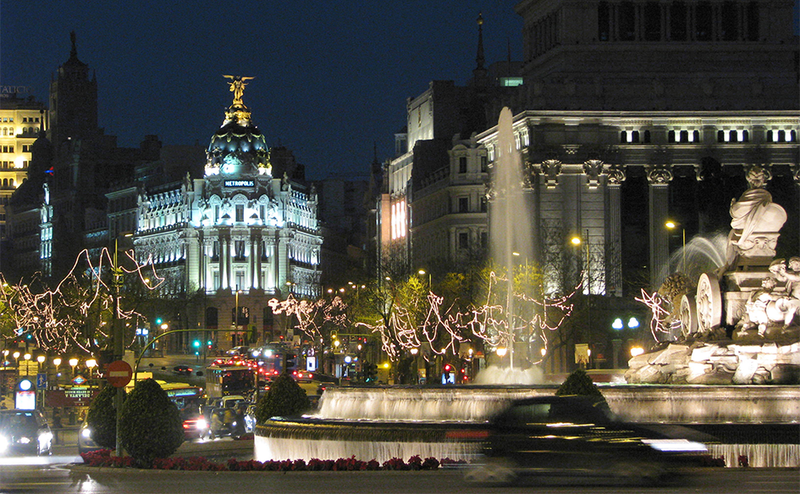 Next, make your way to the Museo Del Prado, which offers one of the greatest collections of European art in the world. The main buildings showcase over 1,300 pieces, from the phantasmagoric paintings and prints of Francisco Goya, to the dramatic and expressionist works of the Spanish renaissance painter El Greco. Once you’ve had your fill of art, you will assuredly have worked up an appetite. Be sure to stop by the Mercado de San Miguel for Spanish tortilla, bocadillo de calamares, chorizo, croquettas, jamon, and other fresh tapas. For the real deal chulapo experience, we suggest grabbing a nice, cold caña of Mahou to wash it all down. At this point, you should probably take a siesta. You know, to digest all that ham. But if you’re feeling cavalier, there’s plenty you can do to fill your afternoon. Grab a churro at San Gines, visit the shops around Plaza Mayor, take in the sites along Gran Via or in Puerta del Sol, or catch a changing of the guard at Plaza de la Armería. No matter what you do, iPass will have you covered with an always best connected experience.